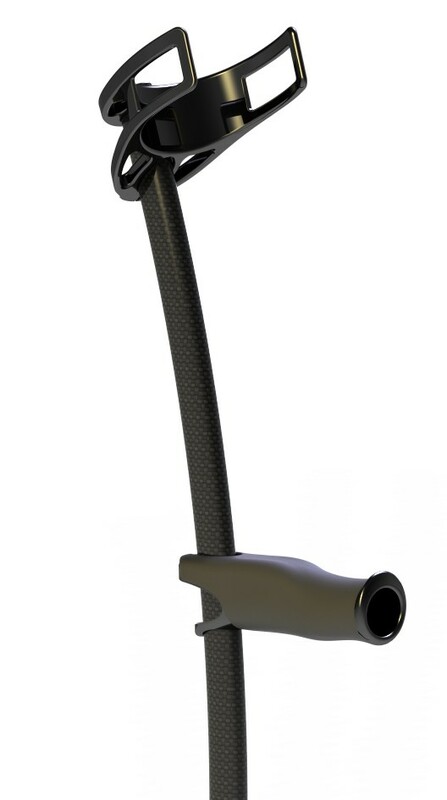 The lightest forearm crutch in the world, 220grammes, created with a carbon fiber frame, which increases considerably the specific resistance in comparison to the standard aluminum crutches. With an exclusive curved and oval shape that allows a perfect regulation and anatomic adaptation, the continuous regulation of the handgrip and cuff improves the design, and avoids the annoying noises of the standard fixation systems. Also exclusive, is the ergonomic handgrip design which increases considerably the users comfort and avoids the known problems of the conventional crutches: - Keeps the natural position of the wrist, this suppresses the pain of the median an ulnar nerves. - Spreads the corporal pressure over the hand, avoiding the pain on the palm of the hand. - Improves the position of the thumb finger, decreasing or totally suppressing the hardness that appears due to a long-term use of crutches. Its tip of high friction coefficient rubber and Dupon, highly improves the safety of the user and decreases simultaneously the total weight. 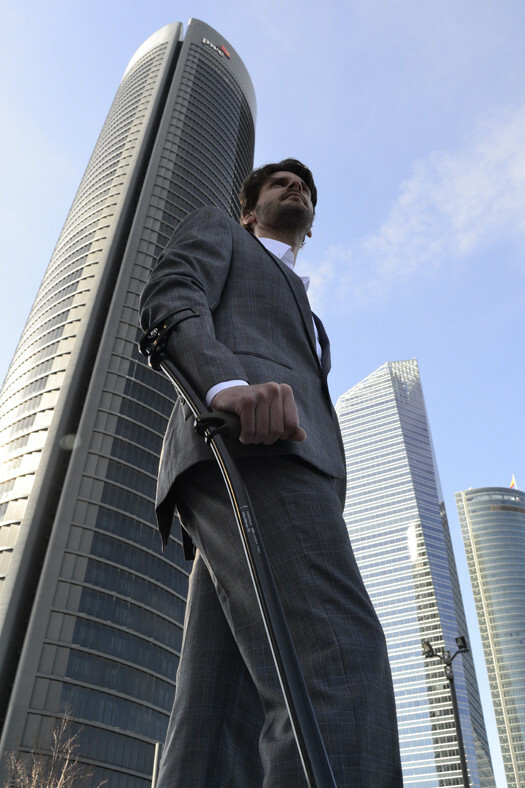 Buy now the best forearm crutches! 288 points will be rewarded to you when you buy this item.